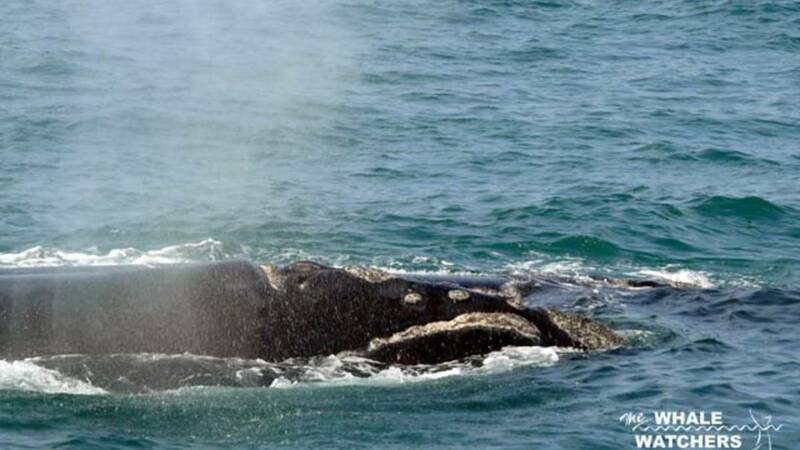 The Whale Watchers in Hermanus, South Africa is a boat-based whale watching company offering an exciting up-close and personal encounter with Southern Right Whales in their natural environment. 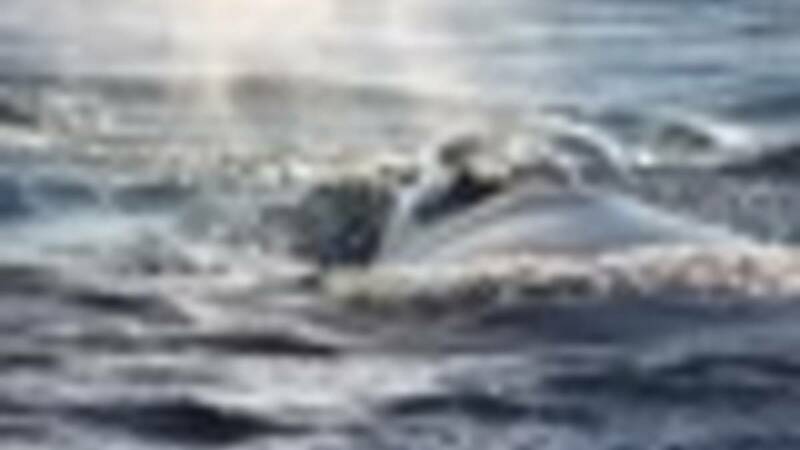 Whale watching season starts in June and ends December. 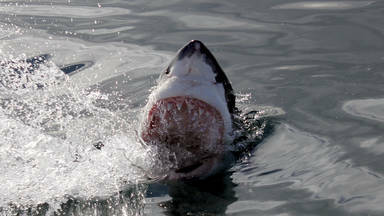 An exhilarating two-hour voyage to discover Walkerbay’s wonderful wildlife, stunning coastline, and famous whales. Our vessel, Unathi is WHEELCHAIR accessible and CHILD-FRIENDLY. 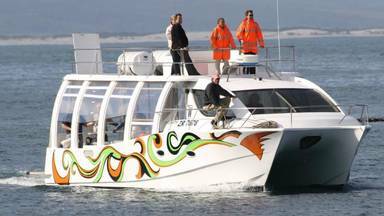 THE VESSEL – Unathi is a 36 seater, a 15-meter catamaran with two 380HP inboard diesel engines. THE CREW: You will be accompanied by our SAMSA registered skipper and two SATOUR registered guides. Don't miss out on a trip with us on Unathi. This was the highlight of our trip to South Africa. 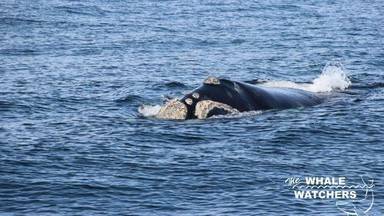 We had 8 whales around the boat - 2 females and ... - Tania Rydon. Camera, food, drink, sunblock, sunglasses, anti nausea medication (should seasickness be a concern - we recommend that the medication is taken the night before and two hours prior to the trip). What the locals say about Whale Watching . This was the highlight of our trip to South Africa. 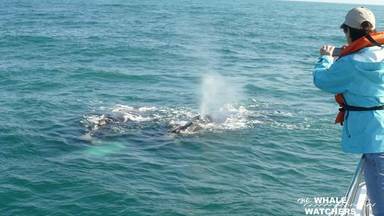 We had 8 whales around the boat - 2 females and 6 males trying to mate with them. Staff were very informative and boat was comfortable and safe. Would highly recommend. We saw whales and dolphins very close to the boat. So wonderful to experience this although me and my daughter were sea sick. The crew did their best to comfort us. Great crew! 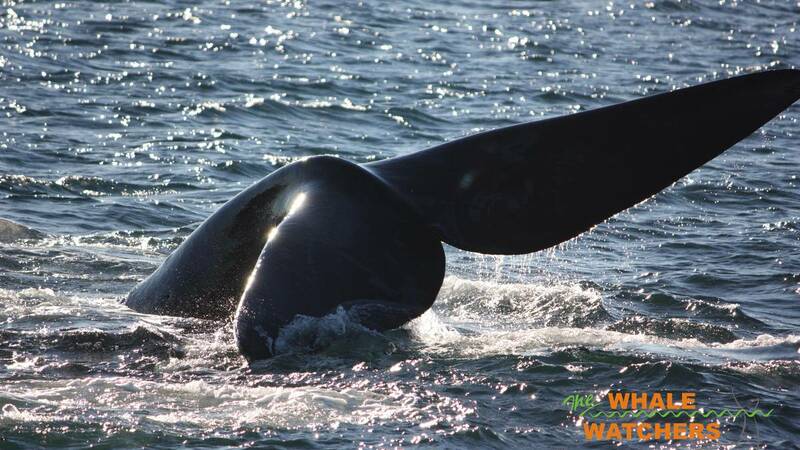 Book other great activities at Hermanus Whale Watchers. 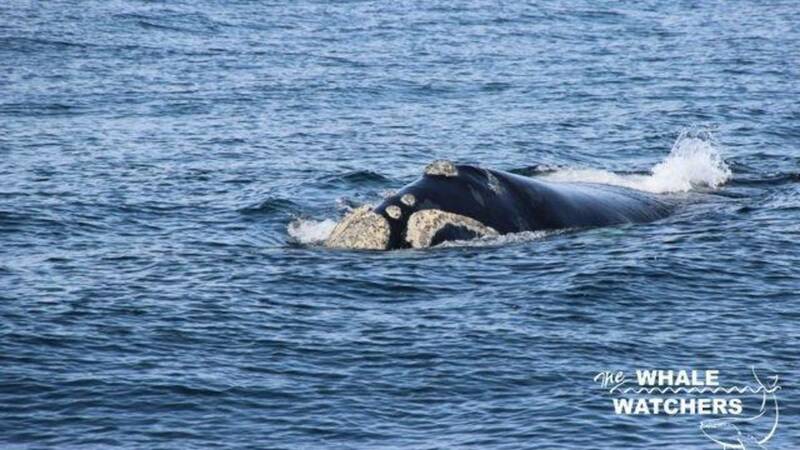 Boat-based whale watching encounters around Hermanus, near Cape Town in the Overberg.